Festival favourite Shania Choir are back again with a brand new show. 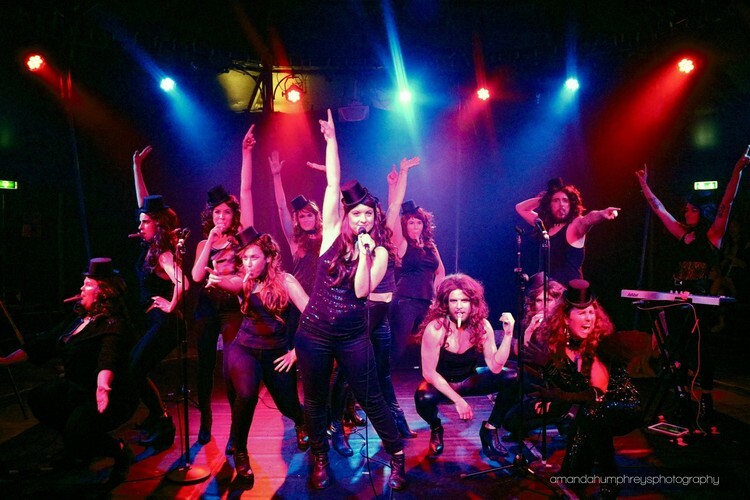 United by a love for leopard print and armed with the prerogative to have a little fun, Shania Choir will lead you in this singalong of epic proportions. Throw on some leopard print to stake your claim as best dressed Shania, learn your words for Shania Choiroke, and warm up those vocal chords because this time, the harmonies are yours! Effortlessly weaving country-pop classics into acapella harmony without losing the wink 'n' wiggle of the originals, Shania Choir is here to sing you all the hits all the time! Ever wanted to sing ‘Man I Feel like a Woman’ with a 15 piece acapella choir and 200 eager backup singers? Don't miss your chance, with a selection of our favourite bangers from Shania's vast discography that we know you will fall in love with all over again! Following highly acclaimed seasons at Melbourne Fringe and Melbourne International Comedy Festival, join this group of brilliantly gifted acapella singers in their dedication to the one and only Shania Twain.